Giving thanks for this is easy ...but what if there were more to Thanksgiving. The article below was written in 2013, a year before last Thanksgiving. Last year I was in a coma during that celebration. At the end of the article there is an audio homily I gave recently on the subject, "Giving Thanks." It is easy to give thanks when all is well. It is divine to give praise and thanks in the midst of struggle, a time when suffering is center-most in your life. There is power in praising The Lord and giving thanks when you are down. Christ offered prayers and thanks, and he was a "man of sorrows." Offering thanks boosts your spirit by reminding you that you have a divine connection. While you may not experience instant deliverance, there is a renewal of faith and hope. Giving thanks is its own reward. If you give thanks as a matter of course, without focusing on a result you will benefit spiritually. That spiritual currency will eventually seep into the material realm. All things are connected. Many churches and organizations have given of their time and money to help indigent families. Some people are victims of recent storms. This period of lack is new to them, often damaging to their spirit. When you reach out that reaching heals. 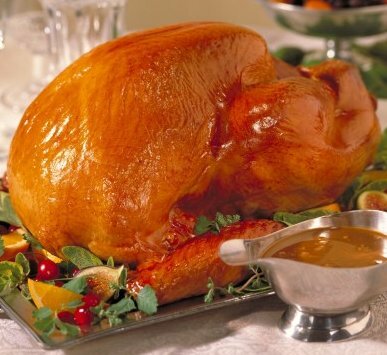 You may not have a turkey today but if you give thanks anyway you will really have a feast. You will dine at the table of The Lord, and with him, any meal is exquisite. If you do have a traditional meal, share. Even one plate makes a difference. I give thanks to The Lord for life, for all the teachers he sent me, for my family and my friends, and much more. Happy Thanksgivings however you celebrate it.